Jason twirled in his skirt and smiled. The fabric, dyed to look like peacock feathers, flared to show off the shimmering blue-green tights. Skirts were amazing when it came to sneaking around. For one, no one expected a thief in a skirt. When he needed to hide big things, there was nothing better than a hoop skirt. After the fact, they would invariably be looking for a woman, if they even believed a woman could pull off something like that. Who was he to stop them from being stupid? Tonight though, his skirt was specifically designed to keep men’s attention below the belt. His target was small enough to fit in his “cleavage”. He checked the mirror one more time to see if the fake breasts he’d stuffed in the bodice passed the test. He even grabbed them to be sure a handsy lord wouldn’t find him out by accident. Perfect. Add a choker to disguise his neck and the feathered mask that was required for this ball. Lord Castilain loved his masquerades almost as much as he loved to show off his collection of rare artifacts. Tonight’s acquisition was some marble statue of a guy from long ago. Jason didn’t really care. It wasn’t something he could get away with, so why bother. He never went for the thing that was on display, anyway. Tonight’s target: a jade elephant with real ivory tusks. It should be easy enough to find and the monks who wanted it back were willing to pay a pretty penny for it. Wren hated this kind of job. Masquerading as a server for that pompous Lord Castilain meant impossibly tight livery made all the worse by her breasts. Could she have grown the perky little things her sister got? Nope, she had to have the big ones that drew far too much attention. The bindings alone made it hard to breath, and this robin red coat limited her movement. Heavens only knew why Mother had chosen her for this job. Get the jade elephant and get out. Don’t take anything else. That wouldn’t be too hard. She’d already seen it while setting up the gallery for the ball this evening. The pay out for this one had better be worth all the tables she’d already moved, not to mention table clothes she’d folded. If she wanted to be a servant, she could have just applied and been done with it. That would be too easy, and Mother would never hear of it. Maybe, if she sold the stupid elephant herself, she could buy her way out of this life. Now there was a dream. In the meantime, she had a tray of appetizers to offer the guests. Jason flirted his way through the gallery. The more they thought he was a young lady, the better. He spent some time admiring the statue of the naked guy, then got one of Lord Castilain’s sons to show him the rest of the gallery. He spotted his target easily enough, right behind one of the servers with tiny finger sandwiches on a silver tray. He accepted the offered food and moved on. He got a chance to come back, only to find that same server admiring elephant. “It’s an interesting piece, don’t you think?” Jason asked the server who nearly jumped out of his skin. They smiled for each other and parted ways. Jason had the oddest feeling he’d met that man somewhere before, but couldn’t remember where. Or when. Damn, that lady is making this job hard. As if all the ladies weren’t preening peacocks, she actually had the audacity to dress as a peacock. 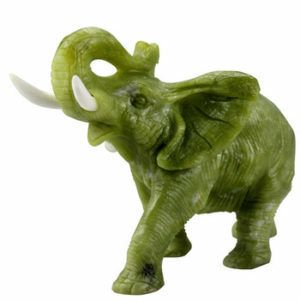 If she didn’t know better, Wren would think that she was after the jade elephant, too. That was just too ridiculous for words. There were so many things in Lord Castilain’s collection that were worth more than that silly little elephant. Mother must have a buyer all set or she wouldn’t have been so specific. She wasn’t going to get many more chances this evening to get close to the elephant. The thought of getting caught on purpose crossed her mind. It would be one way to get out from under Mother’s thumb, but jail didn’t sound that much better. She stuffed that thought away to look for her next opportunity. Going home without the elephant wasn’t an option. She took the tray of little cakes the head server pointed her to and headed out into the gallery again. There was the peacock lady chatting up some pompous lord dressed as a horse right in front of the elephant. She cursed her horrid luck, then thought better of it and cursed the peacock. If that bird keeps me from the elephant I’ll slit her throat. Jason cursed his fabulous legs while he smiled and batted his eyelashes at the horse before him. The man told Jason again and again how much he appreciated a well turned leg. He went on at length about what he would do to those legs if they were alone. He’d almost managed to get his hands on the little figure when this horse in lord’s clothing decided to make his move. Now he was fending off the lord while reaching for the figure behind him. There was that server again, too. This just wasn’t Jason’s night. He still didn’t know where he’d seen the server before, or why he’d been remembering his early years on the street. He was still fretting about it when he found himself flat on his back under the horse-man and the server. Cake and small figurines were scattered everywhere. Not one to waste an opportunity, he felt for the elephant behind him and found it in the small of his back. He got it into his cleavage while trying to brush the cake off. That’s when he finally recognized Wren. Wren watched the little elephant disappear into the peacock’s bodice while she was being manhandled off the lord. Wren had never known a lady to have eyes for a server, let alone a fellow thief who would do anything other than get out of the way as soon as they had what they were after. Yet here was one spinning a tale about how Wren had stepped in when she needed to be saved from the lord. Her lies were so elaborate it was a wonder she kept them straight. Although, considering the amount of wine that had been served, that might have been her point. It all ended with the horse-lord being escorted out the front and Wren being sent out the back and warned never to return. Like she’d ever want to work her in the future. If she even had a future without that elephant. Jason made his excuses—the cake covering his bodice was convenient—and left quickly. It had been forever since he’d seen Wren, and to find her here did not bode well. They’d run the streets together until she found a woman to take her in. He’d missed her, but life on the streets was hard enough for a boy, almost impossible for a girl. She should have risen to the ranks of the servants, not continued as a sneak-thief. At least she made a handsome man. Why was she after the elephant, too? He found her skulking through the bushes toward the main entrance of the manor. “Who do you work for?” He let his voice fall to its normal register. “Give me the elephant.” She brandished a small knife at him. As if tonight could get any weirder, she had come face to mask with the boy she’d looked up to as a kid. The boy she still dreamed about. Everything she’d learned that made her valuable to Mother had been from watching him. And here’s the tweet that started it all. If you’d like to see more of this, follow us on Twitter and issue a challenge.